Ladylit’s ‘Fab Five’ are back, and this time they will regale you with stories revolving around the age-old theme of Opposites Attract. Find out how a Democrat and a Republican reconcile their different political view points in Cheyenne Blue’s ‘Coming Out In District 31’, how a gym novice and a gym bunny get it on in Lucy Felthouse’s ‘Same Place, Same Time’, and how an older, rather uptight woman deals with a young brat spoiling her holiday in Harper Bliss’s ‘The Power of Words’. 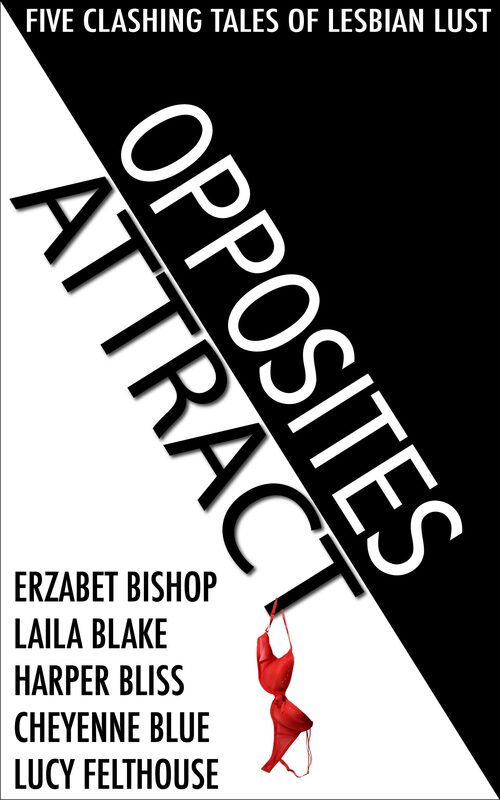 Further stories by Erzabet Bishop and Laila Blake expand the settings in this diverse mini-anthology to a bookstore and a museum. Tension flies high in these five tales of clashing lesbian lust, in which the characters will have to either ignore their desire or broaden their mind.